There are two main reasons why teams go racing. The first is to win races and the second is for manufacturers to sell more motorcycles. However, in order to increase sales the team must have a strong visual presence in the paddock and the media. Key aspects for this are the teams' hospitality facilities and the sponsorship that they are able to attract. In addition to a strong brand, good sponsorship also means increased funding for the team. Valmoto has the ability to consult teams on ways to attract sponsorship and is able to source useful partners for teams. 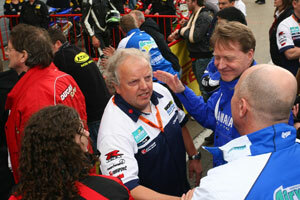 The company can also recommend suppliers for hospitality or even manage the whole operation at the paddock. This includes all of the planning that is involved in the logistical side of a race event. For further information about the full range of marketing services that Valmoto is able to provide please email mail@valmoto.com.